Pope Benedict XVI will visit the Birmingham Oratory during his trip to Britain, it emerged today. 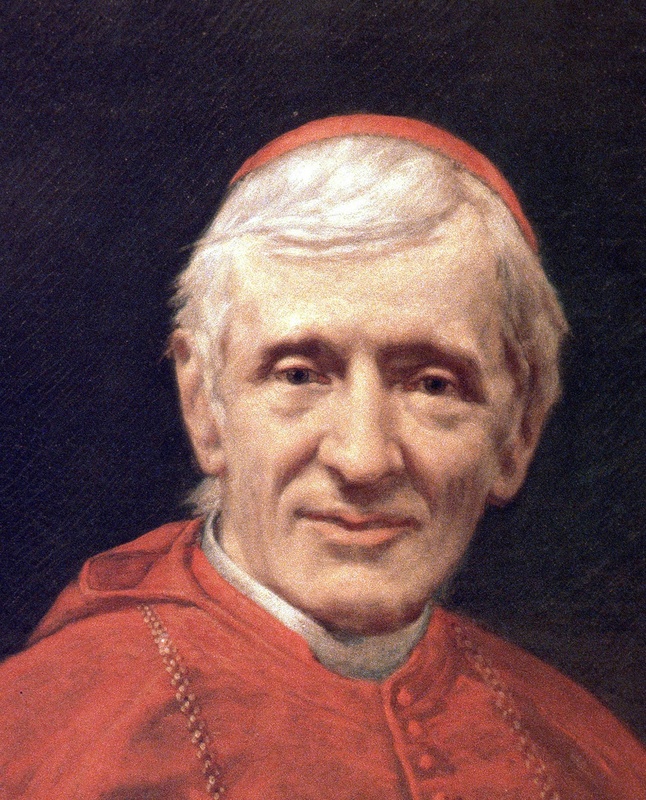 While he is there he will visit Cardinal John Henry Newman’s rooms. There had been some doubt about whether the Pope would visit the Oratory because of controversies within the Birmingham Oratory community, but it is an obvious stop for the Pontiff because Newman lived there in his final years. It holds his library as well as the relics that were found when grave was opened in 2008. A spokesman for the Bishops’ Conference of England and Wales said that the visit’s organisers had asked Birmingham City Council for the use of Cofton Park for Newman’s beatification on September 19. He said that, while the details still had to be worked out with the City of Birmingham, they hoped that at least 80,000 people would be able to attend. The site is near Rednal, where Newman’s Oratorians had a house and where the Fathers of the Oratory were later buried. Cardinal Newman’s grave is there. The spokesman said: “Cofton Park will have more historical resonance, because it is next to Rednal. The Oratorians used to take their recreation in Cofton Park. What is important is that it enables a visit to the Birmingham Oratory. If it all works out, the Pope will make a private visit to Newman’s rooms. America Magazine blogs point out that there is a new documentary about Romero entitled “Monseñor: The Last Days of Oscar Romero.” which is due to come out. They’ve got a trailer for the film, here. I tried to embedd it but really couldn’t work it out. Meanwhile over at the New York Review of Books, Alma Guillermoprieto writes about the film. 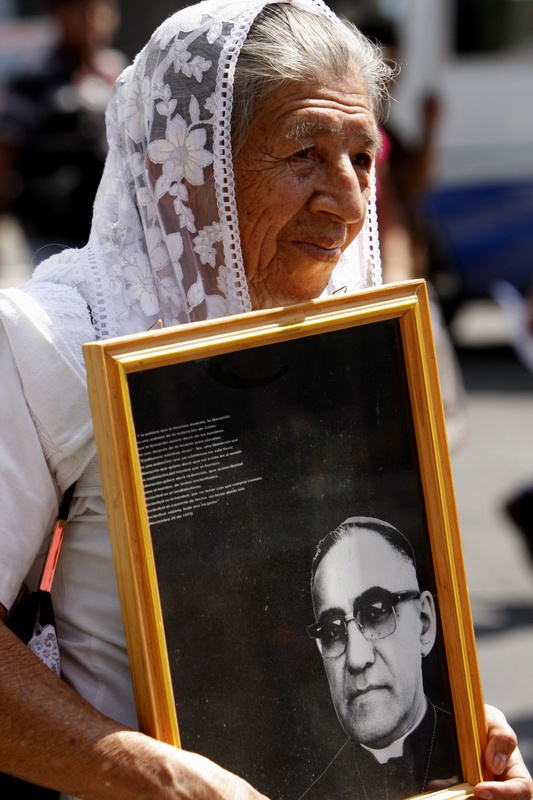 She also remembers Archbishop Oscar Romero’s murder and how it ruptured El Salvador. Guillermoprieto interviewed Archbishop Romero and spent time in the country after Romero’s death. Her account is compelling and beautifully written, though critical of the Church’s hierarchy. Here is a portion of Guillermoprieto’s article in the NYRB but the whole piece is worth reading. But for the Church rank-and-file Romero has become an extraordinarily meaningful figure, as a quick Internet search of his name can attest. We can find evidence of this in yet another work intended to commemorate the thirtieth anniversary of his death: a documentary film, Monseñor: The Last Journey of Óscar Romero, directed by Ana Carrigan and Juliet Weber, and produced by the Kellogg Institute at Notre Dame, a Catholic university. Fr Philip Neri Powell OP offers a very helpful Q&A about the Anglican provision on hisDomine da mihi hanc aquam blog. 1). What’s the difference between the current pastoral provisions for allowing married Anglican clergy to become Catholic priests and this new arrangement? Under the pastoral provisions of John Paul II a married Anglican priest may be admitted to Catholic Holy Orders at the discretion of a local bishop. He will have to take some classes and pass a few exams before ordination. After ordination, he can be assigned to a Catholic parish as an administrator or associate pastor. He may not serve as a pastor. Whole Anglican parishes may come over as well and be included in what is called “Anglican Use” parishes. These parishes use a version of the Book of Common Prayer for their liturgies and are usually served by a former Anglican priest. In all cases, the individual priest and the parish remain under the direct jurisdiction of the local bishop. It has captured the imagination of poets like TS Eliot, painter-poets like William Blake and in recent years it has been turned into a musical, but in its newest incarnation, the Divine Comedy (or rather part of it) has inspired a video game. The Independent carried the story about Dante’s Inferno TM, a video game which serves as a bit of an electronic Virgil leading a virtual Dante–played by YOU–through the nine circles of Hell, over the weekend. The game has been “crafted” by Hollywood script writer, Will Rokos, who wrote the script for the 2001 film, Monsters Ball. The promo video for the game looks extremely violent and you need to click a button to say that you are 18 or over. The player must fight his way through the different levels of Hell which Dante described so carefully in in his 14th Century poem, but as re-imagined by Rokos. Armed with a “death scythe” which is “your main nailing weapon” and the “Holy Cross” which “shoots holy magic” at your enemies, you will be able to travel through the different levels of Hell on the “side of the righteous” come February next year. It’s probably silly to object to it too much, but somehow the idea of this virtual reality Hell (as envisaged by Dante, Rokos and the designers at EA) makes me a bit uncomfortable. Can we learn from the Alpha Course?